"The role that can be played by zero emissions vehicles in promoting a balance between economic growth and environmental protection in the realm of logistics is large" said Nissan Corporate Vice President Hideto Murakami,　responsible for the Global LCV Business Unit. "We will certainly reflect the customer feedback gained from these proving tests in our future product development, and I expect that our commercial electric vehicles based on the NV200 will contribute to our customers' business and to the development of a sustainable society". The NV200 was recently chosen as the next generation New York taxi. It is a model aimed for customers around the world, the next-generation compact commercial vehicle suited for a wide variety of situations including business, daily use, or leisure. The NV200 is available in Japan and Europe since FY2009 and China and Singapore from FY2010, and future launches are planned for the U.S. and India. 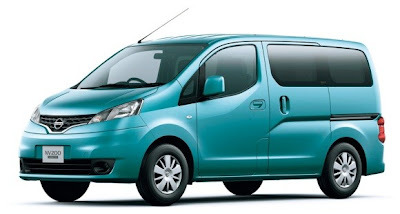 In total, the NV200 is sold in approximately 40 countries throughout the world, and has received positive feedback from customers for its spacious interior, fuel economy, excellent driving performance, and attractive design. At the end of 2009 it was awarded "International Van of the Year 2010" that was based on the selection of journalists from 20 European countries. In March 2011, it was awarded the "Universal Design Award", one of the most authoritative awards in universal design, and the "Universal Design Consumer's Favorite Award", marking the first time in automotive industry to be awarded both awards.